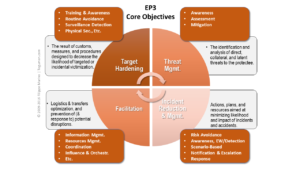 The majority of corporate EP programs still fail to adequately articulate their mission objectives. This is largely due to widespread judgment and risk perception bias, along with direct economic and self-preservation interests of services providers, training vendors, and industry pundits. 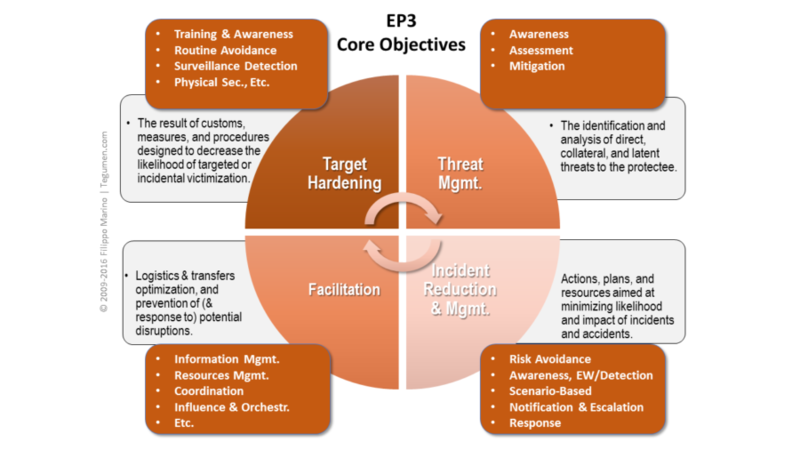 Within this framework, attack-prevention becomes an outcome of an overall target-hardening effort; one that transparently recognizes the actual/statistical likelihood of a targeted physical attack (vs. the anecdotal and fear-driven arguments of the 1st and 2nd generation professionals) along with the realistic success rate of surviving/deterring such an attack.